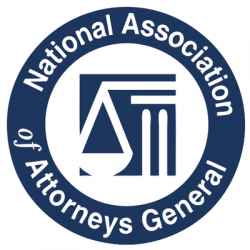 The 2018 conference of the National Association of Attorneys General/National Association of State Charity Officials (NAAG/NASCO), convened on October 1st with the theme of “Charities in a World of Change.” The agenda included discussions on developments in nonprofit governance and accounting, self-regulatory standard setting, and risk management. However, the most significant change in state charity regulation may be the increased collaboration between charity regulatory offices. This trend is exemplified by the recently launched Operation Donate with Honor, a joint enforcement and consumer education initiative of the Federal Trade Commission (FTC), charity regulators in all 50 states, the District of Columbia, and several U.S. territories, which focuses on fraudulent solicitation activities purporting to benefit veterans and military service members. More than 100 enforcement actions were already undertaken by the various regulatory offices prior to the July 19th official launch of the initiative. One key enforcement action was a joint settlement between sixteen states against a veterans charity for engaging in an allegedly deceptive cause marketing campaign and failing to properly oversee donations made from the commercial co-venture with a nation-wide retailer. This multi-state enforcement approach began with an action brought in 2015 against four cancer charities by the FTC, all 50 states, and the District of Columbia which resulted in a multi-million dollar settlement and all four charities being shut down. A panel of regulators at the conference shared current trends in regulatory enforcement, providing examples of recent enforcement efforts that reflected the conference’s theme of “change” and highlighted longstanding regulatory issues that persist among nonprofit organizations. States are developing more data-driven enforcement strategies. State charity officials are increasingly using data obtained through organizations’ annual registration filings to undertake risk assessments and select organizations for further examination or investigation. For example, a chronically delinquent filer may raise concerns about overall organizational compliance. Financial filings revealing unusual and sudden changes in an organization’s assets could also lead to a state inquiry. States have traditionally used other sources of information to initiate investigations and enforcement actions such as whistleblower complaints, media reports, and referrals from other regulatory divisions. The states’ data-focused enforcement strategy mirrors the IRS’s recent data-driven compliance approach. One regulator urged nonprofit organizations to go beyond the minimum legal standards, and instead evaluate their decisions through the lens of the “New York Times test” – considering how their decisions would be perceived if they ended up on the front page of the newspaper. Nonprofits should consider periodically reviewing their organizational compliance against best practices in nonprofit governance, such as Independent Sector’s Principles for Good Governance and Effective Practice. The regulatory implications of being a “taxable” nonprofit (i.e., an entity that is incorporated under a state’s nonprofit corporation statute, but has intentionally declined to seek exemption from federal or state income tax) has raised some confusion with regard to charity regulators’ jurisdiction over their activities. In general, a taxable nonprofit should not be subject to state charity regulatory oversight if it is not soliciting charitable donations, and its assets are not held exclusively for “charitable” purposes. One concern voiced by a regulator is that such entities can (intentionally or not) create an incorrect public perception that they are “charitable organizations,” thereby causing people (and even charities) to make certain purchasing or business decisions based on that misperception. Emily Stern, Co-Chief of the Enforcement Division of the New York Attorney General’s Charities Bureau, noted that one of the recurring problems the Charities Bureau encounters is nonprofit boards that give an undue level of deference to their founders. She advises that board members need to be reminded that they have a duty to be objective in their oversight responsibilities, and not merely defer to the recommendations of the founder. Many states, including New York, provide useful resources on their websites for board members to understand their fiduciary duties as directors of nonprofit organizations. States and the FTC are Actively Monitoring Charitable Crowdfunding Activities. The panel noted that most crowdfunding campaigns conducted are personal crowdfunding campaigns (as distinguished from charitable crowdfunding). Personal crowdfunding campaigns are generally not subject to charitable solicitation laws. These campaigns can occasionally cross over, however, as seen in the case of Obie, a severely overweight dog who became the beneficiary of a crowdfunding campaign in 2014. As part of the campaign, the individual helping Obie lose weight stated that she would donate funds in excess of Obie’s medical needs towards animal care for other animals. After receiving a number of complaints, the Oregon Attorney General’s office initiated an investigation to review how the funds raised were used, and ensure that the remainder of the funds in excess of the medical costs would be used for the stated charitable purposes. Although Obie’s foster parent had hoped to distribute the additional funds raised directly to animal rescue efforts and other pet owners who needed to pay for surgery for their animals, the AG’s office required her to instead transfer the funds to established nonprofit organizations by a specified deadline. Today, various state agencies are continuing to monitor charitable crowdfunding activities in part through a multi-state working group, in which the state regulators discuss recent trends and issues in the news relating to crowdfunding. One point of discussion has been the possible development of informal guidelines similar to the Charleston Principles, which were adopted by NASCO in 2001 to guide states’ regulation of internet fundraising activities. The FTC recently issued guidelines relating to online charitable giving portals, advising platforms to provide clear disclosure of platform policies in order to avoid creating donor confusion or violating advertising law principles. State Agencies Can Intervene in Nonprofit Governance. The regulators explained that states can intervene in the governance matters of a charity incorporated in another state because of their regulatory jurisdiction to protect donors and charitable assets located in their state. The protection of charitable assets is generally governed by states’ charitable trust laws, and donors are protected by state charitable solicitation laws. Regulators frequently find that deceptive fundraising practices and misuse of charitable assets occur when boards fail to carry out their governance and oversight obligations. As such, states do not consider their regulatory jurisdiction to protect donors and charitable assets to be in conflict with the internal affairs doctrine, which provides that the law of the state of an entity’s incorporation will be looked to for general governance matters. Many states impose governance obligations on charities as part of settlement agreements following an enforcement action, requiring organizations to adopt conflict of interest and whistleblower policies, and provide board members with regular training on their fiduciary duties.